Find Out How I Purchased 25 Items at Crazy 8 for Under $100! I just purchased 25 items at Crazy 8 for $93 before tax! 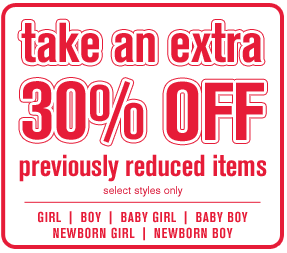 They are currently offering an additional 30% off all sale items (price will deduct automatically) + use the 20% off code found in the Parents magazine to save even more! Shipping is a flat rate of $5! 3 Boxes of Honey Nut Cheerios for just $5.52 Shipped!